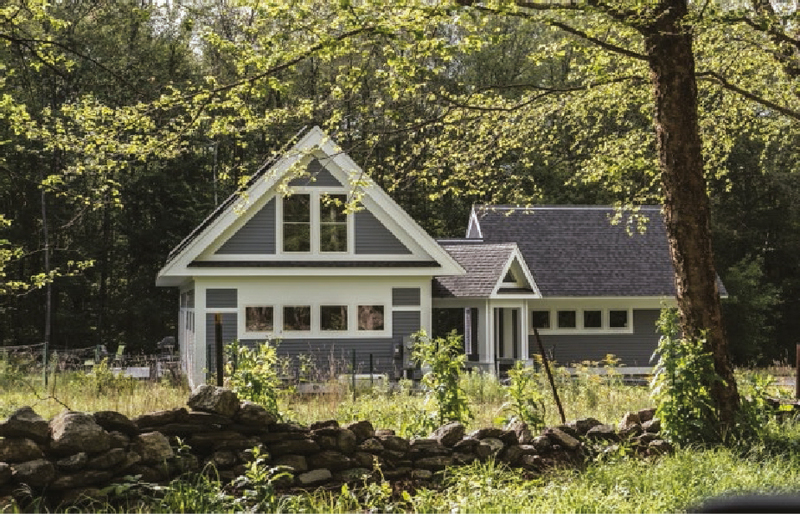 This custom residential home features a small physical, as well as environmental footprint. 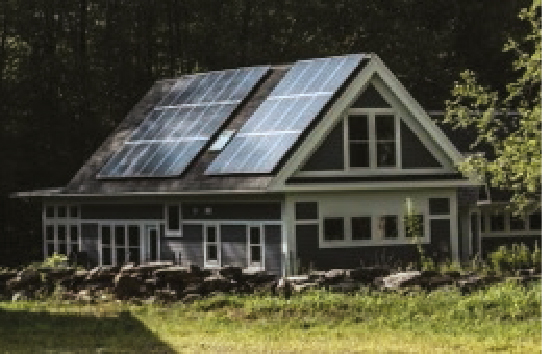 State-of-art construction techniques and building systems are employed to provide a home that meets the highest performance standards for a healthy environment, use of renewable materials, and energy efficiency. The home is designed to complement its rural location yet ‘read’ as a contemporary structure that meets contemporary use standards. Exterior walls are one foot deep; there is two foot of insulation in the attic; windows are triple pane and there is an energy recovery system. © 2019 Dorgan Architecture & Planning. All rights reserved.